Vada's Blog Stamp Inks and Paper : Challenge 41 is Birds. 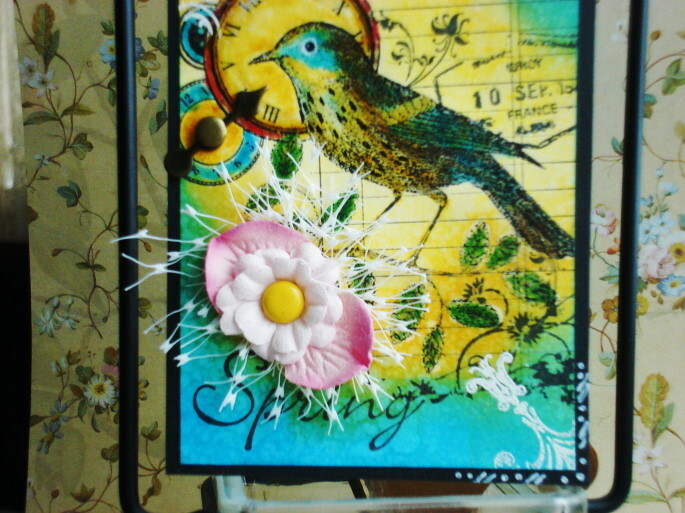 Fashionable Stamping Challenge 41 is Birds. 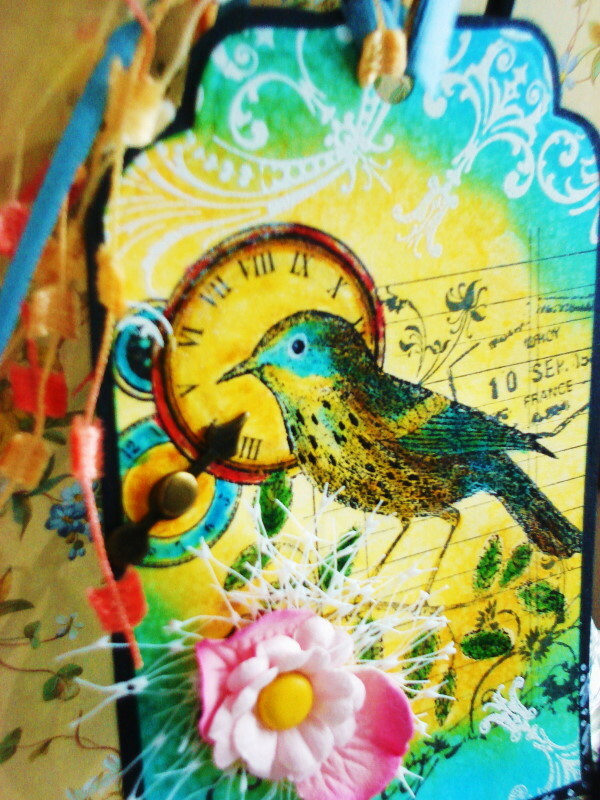 My collage stamp is from Hero Arts, Swirl stamp from Tim Holtz and embossed with white embossing powder. I also sprayed it with glimmer mist. Vada, this is just a beautiful tag!! I love the bird and all the colors you used. Oh this is a Spring Song! 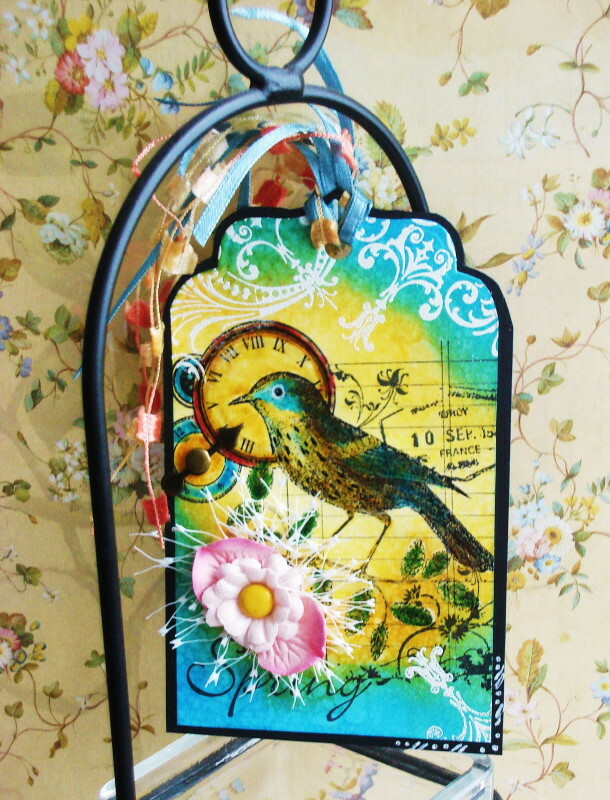 Beautiful and cheerful tag, Vada! Love all the stamping and beautiful inking! Hugs! This is so beautiful, Vada! It just leapt off the page at me from the FSC linky. Love your coloring! A fabulous tag, great spring feeling. Thanks for joining us at Fashionable Stamping Challenges. Blooming Beautiful Vada, so makes me want spring even more. Great use of colors too. wow - it´s fantastic - so brillant colors! I am so impressed by the stunning effect you have obtained on this Tag, you have mixed your colours brilliantly to give it a 'WOW' to the on-looker, this is just so gorgeous.